Historically, winning the Jack Adams Award has been one of the most important factors when it comes to a head coach making the Hockey Hall of Fame. Almost every Hall-of-Fame head coach that spent the majority of his career after the trophy was introduced has collected 500-plus wins and has a Jack Adams Award to their name. The famously innovative Roger Neilson is one of the few coaches who has been inducted into the Hall of Fame without achieving either of those goals. Now, with wins becoming easier to get since the removal of ties, trophy wins will only become more important to a coach’s legacy. Six active coaches have won the Jack Adams award at least once, putting their name above their contemporaries when it comes to a potential Hall-of-Fame induction. As of now, these six have the best shot to become a Hall-of-Fame coach. 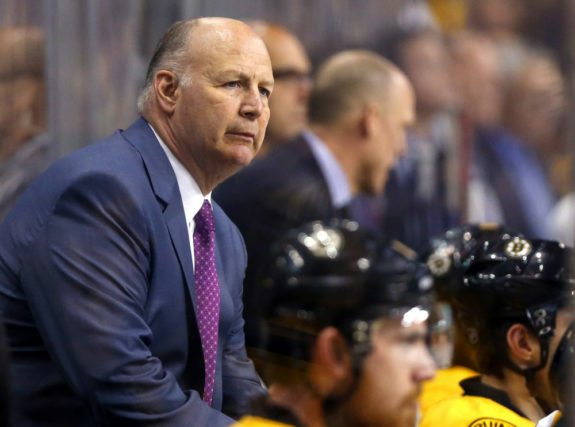 During his tenure with the Boston Bruins, Julien became one of the most successful coaches in the league. He won 419 games with the Bruins and led them to two Stanley Cup Final appearances, including a Cup win in 2011. In 2009, his Bruins ended the season one point behind the Presidents’ Trophy-winning San Jose Sharks by using Julien’s unique defensive system that shut down the other team without sacrificing his own team’s offensive talent. Despite Julien’s reputation as one of the best coaches in the league during his tenure with the Bruins, he never got much recognition in terms of nominations, with 2009 being his only season as a finalist. Unfortunately, without another Jack Adams in his arsenal, Julien will have a hard time getting in the HHOF considering so many of the coaches during his era were nominated at least twice. Boudreau is the most successful regular-season coach in the past 14 years, with a career points percentage in the regular season of .654. Only Scotty Bowman and Toe Blake have coached for as many seasons as Boudreau and still have a points percentage over .625. Both of them are already in the HHOF. 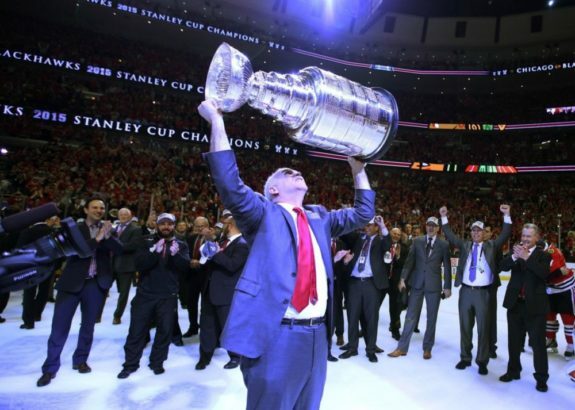 His 2008 win came in his first season as a head coach in the NHL, when he took over the Washington Capitals 21 games into the regular season and led the team to first in their division and their first playoff appearance in four seasons. His other nomination came in 2013 with the Anaheim Ducks, when his team ended the lockout-shortened season with a record of 30-12-6. 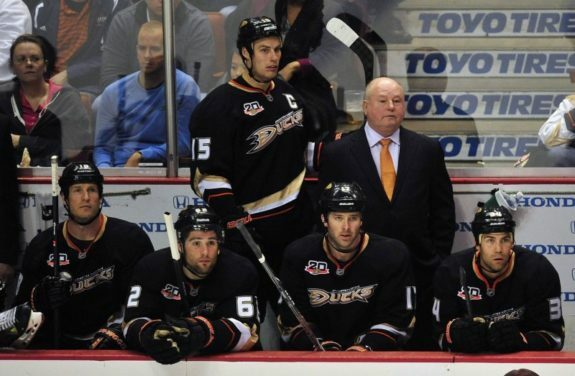 The biggest problem Boudreau will face is his postseason reputation. While his regular-season points percentage may match Bowman and Blake, those two coaches also have nine and eight Stanley Cup wins respectively. The only way he would be able to have a shot at making the HHoF at this point would be to win the Stanley Cup and reverse his reputation. Having coached only 410 games so far, Gallant is the least experienced name on this list by a wide margin. However, he has started off his coaching career with a bang. In only his third full season as a head coach, he was named a finalist for the Jack Adams with the Florida Panthers in 2016. Two years later, he coached the Vegas Golden Knights in their first ever season to first place in the Pacific Division and a Stanley Cup Final appearance, rewarding him with the trophy for best coach in only his fourth full season. Gallant’s case for a spot in the HHOF is the most unknown on this list. He has yet to even coach 500 games let alone win 500, a rather important figure most modern-day coaches in the Hall of Fame have reached. His career is still young, and although the Jack Adams win certainly starts him off on the right foot, he still has a long way to go before he is in HHOF discussions. Arguably the best head coach in the league over the past 20 years, Quenneville already is second in all-time regular-season wins by a head coach behind Bowman. Yet he has only been a finalist for the Jack Adams Award twice, and 13 years apart. His first nomination and only win came in 2000 with the St. Louis Blues, as the team won the only Presidents’ Trophy in franchise history. More than a decade later, he received his second nomination when his Chicago Blackhawks dominated the lockout-shortened 2013 season by going 24 straight games with at least a point at the beginning of the season and setting an NHL record. How Quenneville only managed one nomination during his time with the Blackhawks is more on the voters than the coach himself. This case is already locked up—Quenneville will be in the HHoF. Only one head coach with three Stanley Cup championships has been left out of the HHoF (Pete Green of the early 1920s) and being second place in all-time wins puts Quenneville among the all-time great coaches before he even retires from behind the bench. Along with Quenneville, Trotz is the only coach on this list to have been behind the bench for over 20 seasons. He spent his first 15 seasons with the Nashville Predators, where he received his first two nominations in back-to-back years. He would finally win the Jack Adams in 2016 with the Washington Capitals after coaching the team to first in the NHL by 11 points. Before 2018, Trotz would have a similar story to Boudreau: regular-season success with nothing to show from it. He was labeled a “playoff choker” after failing to get past the second round of the playoffs despite 10 postseason appearances but managed to break that label with the Capitals in 2018 as both he and the team won their first Stanley Cup. With the Stanley Cup in his back pocket, Trotz has a good chance to end up in the HHoF. He is fifth all-time in wins by a head coach and is one of only 10 head coaches to have their career last over 20 seasons. Of those 10, the five who were not recently active are already in the HHOF. Trotz needed that Stanley Cup win, and now that he does, he is close to a lock to finding himself in the HHOF. Somehow the man who was won two Jack Adams Awards is one of the most confusing cases on this list. Tortorella carries with him a questionable reputation as a “hot-headed” head coach, and his time with the Vancouver Canucks certainly taints his legacy, but he has still managed to be named the best coach in the league in two different eras. Tortorella has been nominated for the Jack Adams with three different teams. 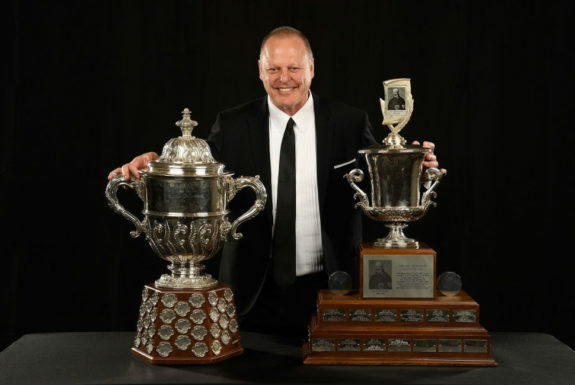 In 2003 and 2004, he was nominated while coaching the Tampa Bay Lightning, which would include a Stanley Cup win on top of his Jack Adams win in 2004. By 2009 he was with the New York Rangers, where he led them to a first-place regular-season finish in the Eastern Conference in 2012. After an ugly one-season stop in Vancouver and a year off from coaching, Tortorella came back and won the Jack Adams again with the Columbus Blue Jackets in 2017 after helping the team jump to 108 points from 76 points the season before. 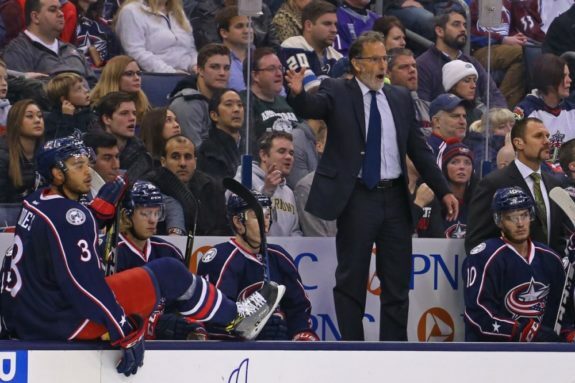 It is hard to say Tortorella is anything but a lock in the HHOF at this point. While his coaching style and personality may be controversial, his success is clear. Only six head coaches have ever won the Jack Adams more than once and all but one are already in the HHOF. Throw in his Stanley Cup championship and you have a near unbeatable case for a place in the HHOF. While Babcock has never won the Jack Adams, he has a strong case for a spot in the HHOF. Considered one of the best coaches of the past 15 years, he is the only active coach to have been nominated three times and never won. He probably should have won in 2014 when he lead an old and not very good Detroit Red Wings roster to the playoffs, as well as in 2017 when he coached the Toronto Maple Leafs to a playoff spot despite ending the previous season in dead last. Outside the NHL, he also coached Team Canada to two Olympic gold medals in 2010 and 2014. If Babcock does ever manage to win himself a Jack Adams, he is about as much of a lock on the HHOF as there could be for a coach of his era.